Youth bike racing champ Massimo Lucidi, center. 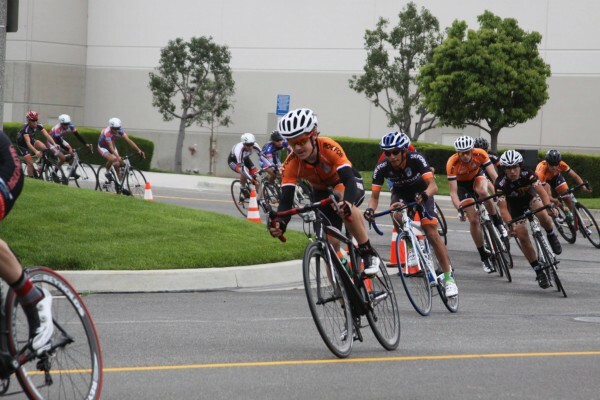 Massimo Lucidi, 15, and a sophomore at Laguna Beach High School, finished first in two recent road bike races for the Rokform 15-16 junior team in Irvine, according to his father, Richard. He placed second overall in the year’s standings for 40 races over the last eight months among 70 riders in the Southern California Nevada Cycling Association. Massimo finished first in the group time trial Hotter than Hell up to the Mt. Baldy ski lifts, a 12-mile climb that ascends 5,000 feet. He also finished out front at Ontario Criterion. Massimo was selected to race on the Rokform elite team, which requires a contract.